Head start evaluations: As pre-K it's bad but as child care it's good. 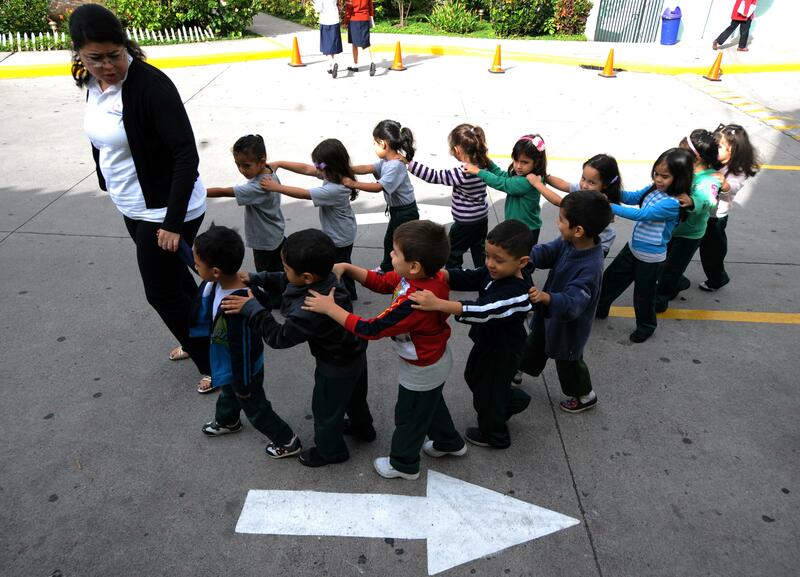 Pupils head to gym class at a school in Tegucigalpa, Honduras on November 13, 2012. Two things I’ve heard a lot about today are the benefits of preschool for the parents of the kids enrolled, and the endless debate over Head Start. These turn out to be linked, however. That’s because Head Start turns out to be lousy preschool, but pretty impressive child care. The reason advocates of preschool focus on the benefits to children is very simple. In terms of benefits to parents, preschool that aspires to high quality is a huge waste of money. Child care programs are much cheaper. But the main federal child care program, the Child Care and Development Fund linked to the 1996 welfare reform law, is a bit of a disaster. Chris M. Herbsta and Erdal Tekin finds that kids whose parents get these child care subsidies do substantially worse on a range of outcomes (PDF) than comparable kids whose parents don’t get them. Which is to say that these funds—which are meager, work-linked, and very loosely regulated in terms of what programs you’re allowed to use them on—appear to be spent on extremely low-quality child care programs. Viewed in that light, the null result that Head Start kids don’t do better than non-Head Start kids actually looks pretty good. CCDF coulds do worse than non-CCDF kids. So if you think of Head Start as a child care program designed to support a social expectation that low-income single mothers should do market work for wages, then it looks pretty good.